See here for more info on becoming a Merit Badge Counselor. To become a Merit Badge Counselor you must attend Merit Badge Counselor Training which is held at Roundtable at 7p.m. at Shawnee Mission United Methodist Church - 10700 Johnson Drive every month EXCEPT July and August. This training lasts 1.5 hours and participants will need to bring their Youth Protection Training certificate. Training starts at 7PM, so please do not attend the announcements portion of Roundtable. To bring merit badge counselor training to your troop, please contact Michelle Foster. Click here to search for a Merit Badge Counselor! Shawnee Trails District is proud of the many Eagle Scouts that come out of all our troops throughout the year. Annually, more than 150 boys earn the Eagle Scout Award in our district. Once the dialog box appears, click on "Save target [or link] as..."
Once you have saved the workbook to your computer, open Adobe Reader, From within Adobe Reader, click on "File", click on "Open", enter the saved file name, and then enter or click "Open". 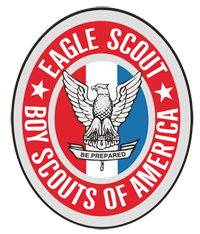 Eagle Boards of Review: Eagle Boards of Review are held at 7PM, on the third Thursday of each month at Emmanuel Baptist Church - 10100 Metcalf Ave. OP, KS 66212. Reporting Internet Advancement is a requirement of the Boy Scouts of America. Units should select an advancement processor who is granted access with a council-provided Unit I.D. It's recommended that units report advancements monthly to ensure timely credit for the youth's achievements.